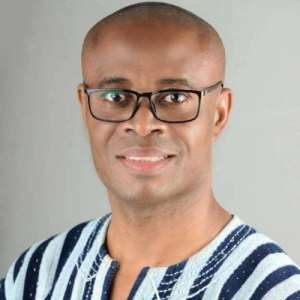 The Member of Parliament for Bole Constituency in the newly created Savannah Region Hon Yussif Sulemana has sent a congratulatory message to Hon Adam Salifu who is also the Member of Parliament for Salaga South. He did same for Hon Yeyu Tika for their appointment and successful vetting as Regional Minister and Deputy respectively for the region. In a statement copied to Ghanapoliticsonline.com, Hon Yusif Sulemana urged the appointees to unite the various tribes and religious groupings in the region. The Savannah Regional Minority Caucus in Parliament congratulates our colleague, Hon. Salifu Adam Braimah (MP, Salaga South) and Hon Samuel Yeyu Tika for their appointment as the Regional Minister and Deputy Regional Minister for the Savannah Region for their successful vetting and subsequent swearing into office. Savannah Region is unique in its expanse and in its diversity. Equally, the needs of the Region are also unique. Your appointment as the maiden Regional and Deputy Regional Minister is historic; because the story of the Region can no longer be written without the mention of your roles as its first Minister and Deputy. The honour done you through these appointment should be seen as a call to service; a call to unite the diverse tribes, diverse religious groupings and diverse demographic landscape. Your role as first Regional and Deputy Regional Minister is to chart the vision for the Region; you must provide a leadership that will fashion out the roadmap towards our forward match. It is to be expected that the challenges that will come with this role will be humongous. You are being tasked to start building from zero and that won’t be easy. Again, the general expectation of our people is high and that comes with its own challenges. Yet, all these should be seen as an opportunity to inscribe your names in the good history of our Region. You must always remember to be guided by the vision of past and present ancestors who have fought so hard to achieve this dream. Any deviation from that and the history books will become unkind to you. As we wish you well in these roles, please know that you can count on our fullest support.